Firstly, apologies about the delay with this post. Life has been a little crazy, with more downs than ups lately, but one thing has kept me going ... Food! I don't know about you, but to me food is all about comfort and feeling like you are getting a big warm hug. One of my favourite comfort foods is pasta. I know carbs are evil (yada, yada, yada), but I love them and I'd rather be happy than hungry. 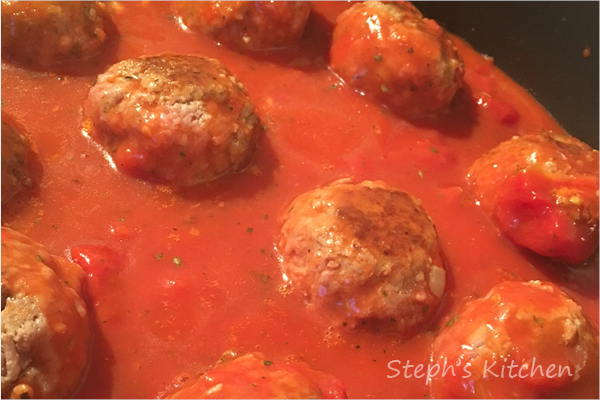 Over the years I've made many different types of meatballs – sometimes with a simple tomato sauce, sometimes baked, sometimes fried. I also love stuffing them with cheese from time to time. 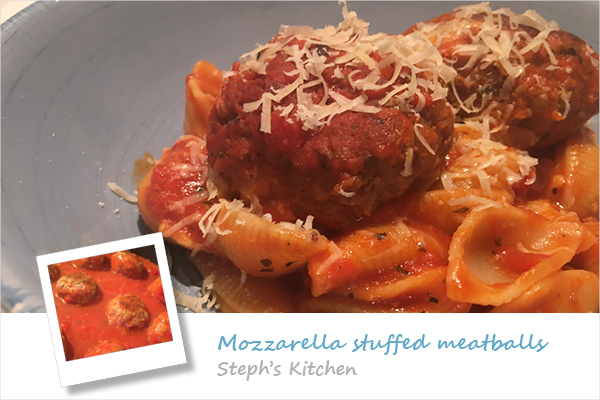 Today I want to share my mozzarella stuffed meatballs, with gooey cheese in the middle and a yummy tomato sauce with semi-dried tomatoes. I hope you enjoy them as much as we do! 1. Add the mince, onion, oregano, egg and breadcrumbs into a large bowl along with some salt and pepper and two dessertspoons of crushed tomatoes. Combine the ingredients using a fork or your hands until everything is mixed through well. 2. Divide the mince into ten portions and place on a chopping board. 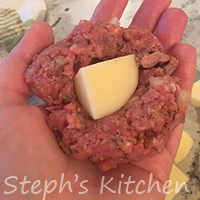 Take a portion of the meat and flatten into an rough circle shape. Place a piece of cheese into the middle of the meat and pinch in the sides to cover the cheese. Roll the mince in your hands to form a rounded meatball. Continue with the rest of the meat portions until you have ten meatballs. 3. In a large frying pan (with a lid), brown the meatballs in a little bit of oil until each side has a little colour. This is to simply make sure the meatballs keep their shape and have a little bit of colour on the plate. Remove meatballs from the pan and set aside. 4. In the same pan, add the tomato soup, tomatoes, tomato paste, water, garlic and basil. Cook over a medium heat until the sauce begins to bubble. Stir through the semi-dried tomatoes and return the meatballs to the pan, covering each one with a little bit of sauce. 5. Bring the sauce to the boil before adding on the pan's lid and turning the sauce down to a simmer. Simmer the meatballs and sauce for 40 minutes. 6. Remove the meatballs from the sauce and mix in your favourite cooked pasta or spaghetti (I often use large shells or penne). If you feel the sauce isn't thick enough, allow the sauce to simmer for 5-10 minutes (uncovered) before adding in the pasta. To serve, simply add the meatballs back on top of the pasta and top with a good amount of Parmesan cheese. You can also add salami chunks to the sauce. Simply add it in with the semi-dried tomatoes. * Take the empty can from the tomatoes or soup and fill it half way with water. I often do this instead of measuring out the additional liquid and then trying to work out what the ratio is to the liquid from the can.